This package contains two (2) Rolls of Gold Foiled Crosses of Washi Tape. In addition, it has its own cutter which you'll find on the top. 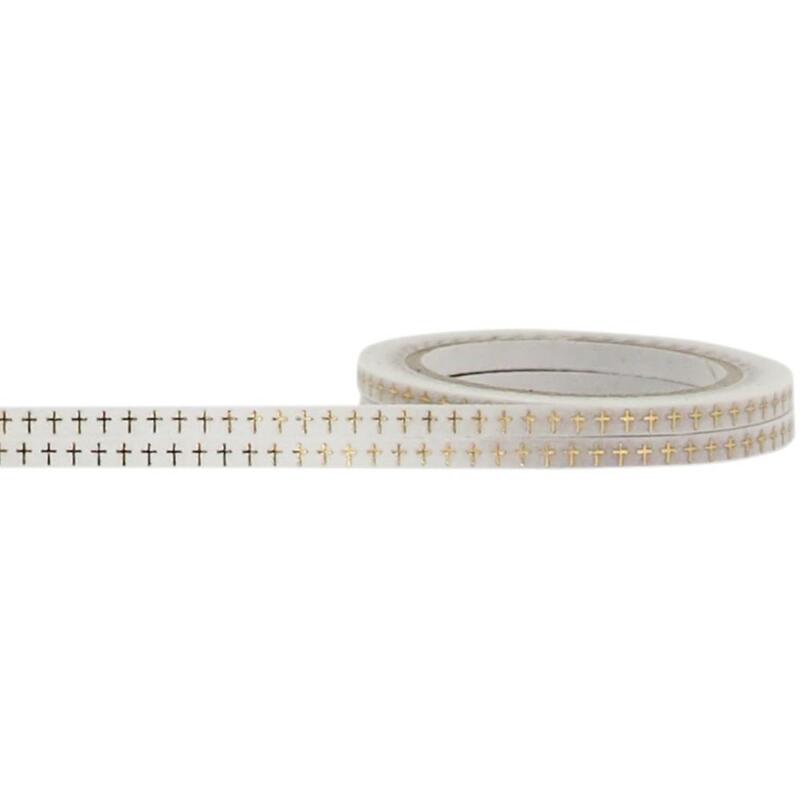 The package contains two 10.3 yard rolls of .11 inch wide foil tape by Little B.